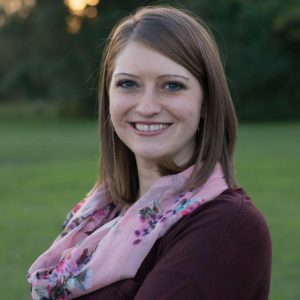 Meet Jamie Sandefer author and creator of “Love You From Right Here”. 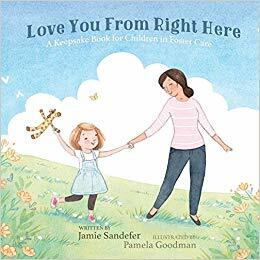 Jamie took some time out to share with us about her book, Love You From Right Here. A much needed resource birthed from her own personal need to find a way to touch a sensitive yet ever growing topic- separation. Jamie, I see you are an author. Tell me about what led you towards knowing that writing was a gift that you had to offer the world? When we became foster parents, I quickly realized I needed something to help me know what to say to our foster children. When I couldn’t find exactly what I was looking for, I felt like I had to write it. Our first foster child was 3 1/2 years old and on her 5th move when she came to live with us. On top of that she was coming from an abusive foster home. I needed a way to let her know that we were different and that she could feel safe with us. What types of books do you write, and are they all foster care/adoption related? To date I’ve only written one book, and it is written for foster children. I plan to write an adoption keepsake book someday in the near future. What led you to include sharing about foster care/adoption in your work? The foster care community is a growing, thriving community; however, there aren’t many resources available at this time. I learned a lot about the system and process of foster care & adoption in a short amount of time, and I wanted to help others in their journeys to foster care and/or adoption. I was really excited when I saw this book featured on Instagram, because I know that stories have power. Sometimes it is easier for another person to read about a character, even fictional, that faces a struggle they too are facing. I think the story becomes a voice for them, and they are able to bravely walk through the situation with the character and glean strength and vision for their own life. How did “Love You From Right Here” unfold? I was overwhelmed with not having all of the answers and words to help our foster daughter cope better through the transition she was experiencing of settling in with yet another family of strangers. Within a few weeks of having her, I reached out to my community of friends to ask for help. One of my friends told me to find a book that said exactly what I wanted to say to her. She told me to read it to her every day and then write my name in the back to send with her when she left. I thought that was a great idea, so I went searching for the perfect book. I found a few really great books about foster care, but none of them said exactly what I wanted to say to her. It was also disheartening to me how often she had been displaced. Then, I was shocked to discover that most foster children move an average of 7 times in their life. It broke my heart to think about all of the memories that they could potentially lose due to so many moves. With those two thoughts in mind, the idea for a children’s book with a keepsake section in it was formed. I immediately knew I needed to create the book I was looking for. We had already experienced different emotions with our foster daughter that I felt could be applicable to all children going through transition, so I wrote the book and started looking for a publisher. One person can truly make BIG waves in the world, and you did just that Jamie!! Without spoiling it for our viewers give me a brief synopsis of the story. 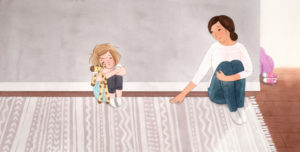 “Love You From Right Here” is a children’s book for children in foster care. Written from the foster parent to the foster child, it takes you through an abbreviated look at the emotions a young foster child experiences throughout their transition to a new home. The message to the child is that while they are in that home, they will be safe and loved. It also serves as a keepsake book with a journaling section. This portion of the book includes places for photos, journaling lines, and simple writing prompts. The keepsake section of this book gives the foster family an opportunity to provide the child with a piece of their history if they leave. I LOVE THE Keepsake idea! I think this story is such a great way to address a very real and scary topic. Loss and how that loss or separation can affect the people who love each other and experience circumstances that bring about physical separation. 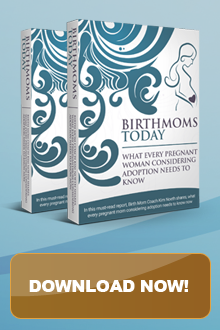 How do you feel your story has or will impact women who have placed a child for adoption? I hope my story will resonate with birth mothers, because they also experience undeniable love and emotion when their child is no longer with them. The love they have for that child doesn’t disappear when the child has been adopted. I would encourage them to make a keepsake book for their child that says exactly what they’re feeling and include things about their family history that the child will want to know someday. I am sure that you have touched a deep place in the hearts of your readers. Thank you so much for saying that! I believe in this book and the power it has to comfort children and potentially salvage memories for children in foster care. Whether they are reunited with their biological families or whether they move on to an adoptive home, my hope is that foster families will take the time to document that child’s life while they were in care. Simple things like what their favorite food was or what their first word was are small things that may go undocumented because of the instability of not being in their forever home at the time those things took place. – Not too many people want to love that deeply in considering the other realities involved. You mention a valid point regarding relocation and the loss of knowledge for the child growing up. Having memories and special things about them documented is so very important to their wholeness as a person. Thanks for being that kind of a person and doing something about it for yourself and for others. Thats BIG LOVE in action. Will you be writing more foster care/adoption themed stories? Yes! My next book will be an adoption keepsake book. For an adult, the adoption day is an exciting day full of closure and celebration. For a child however, this can be a day full of unknowns and confusion. I want to provide a resource to help prepare children for the big and little details of their adoption day as well as provide a keepsake section to commemorate their special day. Any upcoming projects that you might give us a sneak peek about? We’re currently working on re-vamping the original version of “Love You From Right Here.” I wrote the book 4 years ago, and the majority of the content and vision for the illustrations was based on my first foster daughter who was a Caucasian little girl. Over the last few years, I have realized how important it is to offer the book with a boy version and also have a variety of different races represented for the boy and girl. I’m really excited to share that we have just begun the process of making 5 more books exactly like the original but with multiple options for the child character. YES!! I love the idea of writing this to represent gender and every ethnicity! THAT IS SO very important for a child to be able to connect and identify with. Another loving realization! How might others connect with you? The book is available through Amazon.com, Barnesandnoble.com, and at bulk discounted rates at store.lucidbookspublishing.com. Posted in Blog Posts and tagged amazon books, birth moms today, jamie sandefer, Kim Noeth, love you from right here.